A look at how to craft the Get Swole Syrup a la Cube recipe that lures fighting type Pokémon in Pokémon Quest. In Pokémon Quest, many players have been wondering how to craft a recipe that lures fighting type Pokémon otherwise known as the Get Swole Syrup a la Cube recipe. While the recipe itself isn’t too challenging to make, it helps to know the best ingredient combination in order to boost your chances of luring Pokémon like Hitmonchan and Hitmonlee. Struggling to craft the “Very Good” version of the Get Swole Syrup a la Cube recipe? No worries, we’ve got you covered. Below, we’ll walk you through how to craft the Get Swole Syrup a la Cube recipe in Pokémon Quest! Below, you'll find the ingredients needed to craft the Get Swole Syrup a la Cube recipe in Pokémon Quest. It’s important to note that the Get Swole Syrup a la Cube recipe is designed to lure fighting type Pokémon in Pokémon Quest. Naturally, other recipes will lure in other types of Pokémon. 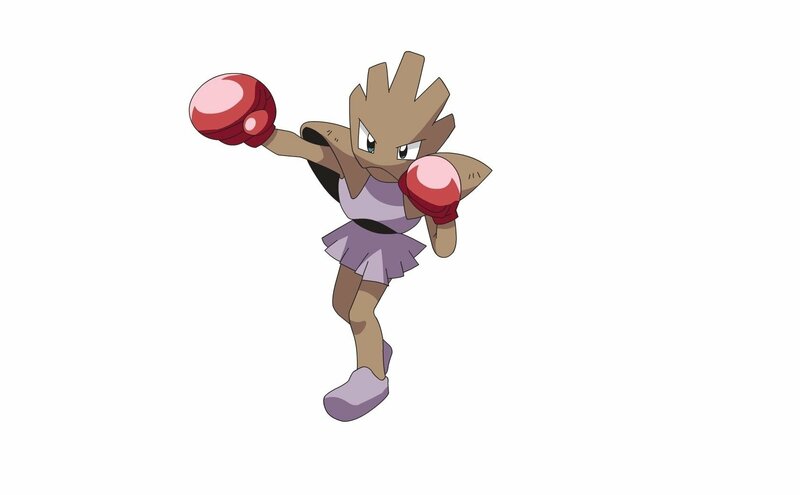 One of the most common Pokémon lured by the Get Swole Syrup a la Cube recipe is Machop. Depending on the ingredients used, “Very Good” versions of the Get Swole Syrup a la Cube recipe will lure rarer Pokémon such as Hitmonchan and Hitmonlee. By using the ingredients in the amounts listed above, you should have no trouble crafting the Get Swole Syrup a la Cube recipe needed to lure Pokémon like Machop, Hitmonchan, and Hitmonlee in Pokémon Quest. For more on Pokémon Quest, be sure to check out our guides on the best recipes and ingredients in Pokémon Quest, how to make Ambrosia of Legends a la Cube in Pokémon Quest, and a look at every evolution level in Pokémon Quest. By reading through this guide, you should now know how to craft the Get Swole Syrup a la Cube recipe in Pokémon Quest.